Offering a new approach to the study of religion and empire, this innovative book challenges a widespread myth of modernity—that Western rule has had a secularizing effect on the non-West—by looking closely at missionary schools in Bengal. 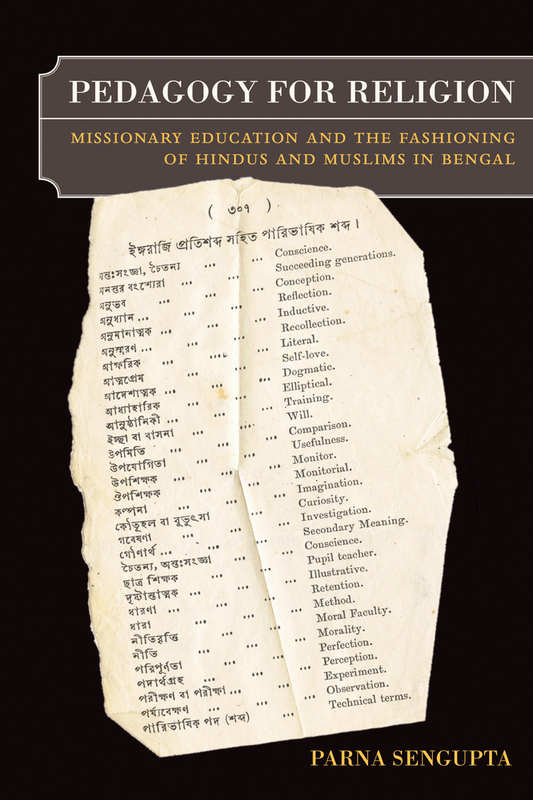 Parna Sengupta examines the period from 1850 to the 1930s and finds that modern education effectively reinforced the place of religion in colonial India. Debates over the mundane aspects of schooling, rather than debates between religious leaders, transformed the everyday definitions of what it meant to be a Christian, Hindu, or Muslim. Speaking to our own time, Sengupta concludes that today’s Qur’an schools are not, as has been argued, throwbacks to a premodern era. She argues instead that Qur’an schools share a pedagogical frame with today’s Christian and Muslim schools, a connection that plays out the long history of this colonial encounter. Parna Sengupta is Associate Director of Stanford Introductory Studies at Stanford University.